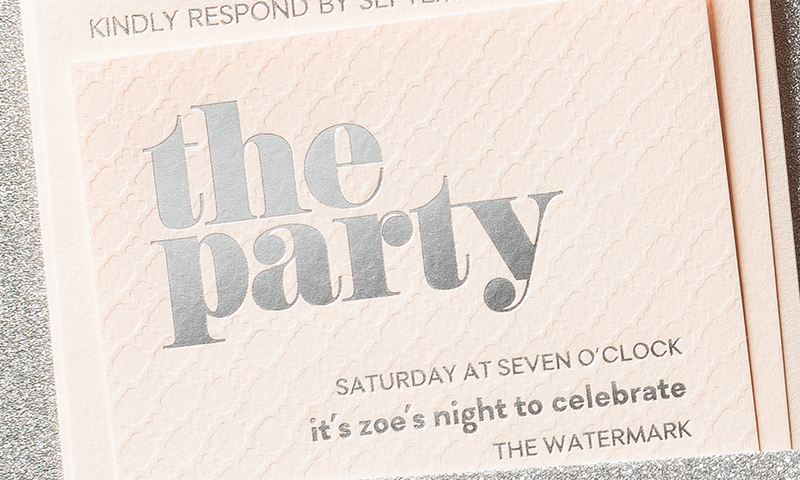 This invitation is a feminine rendition of one of our most popular designs. The invite is printed with white ink on clear acrylic. 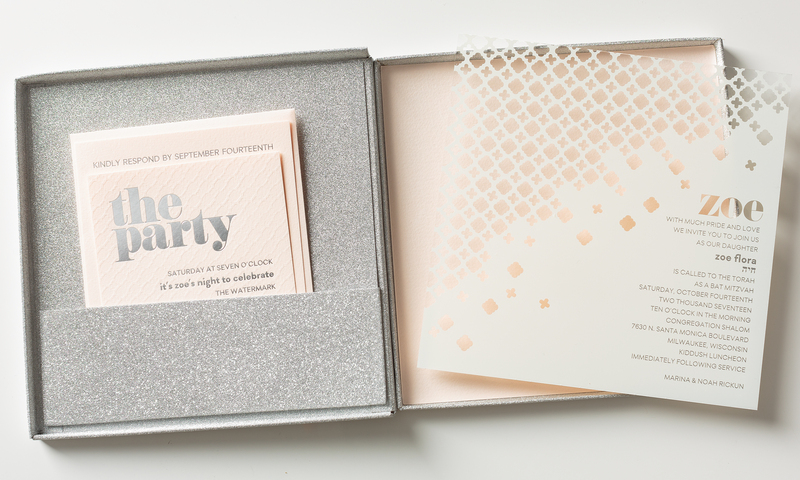 It is paired with a matching blind letterpress pattern and silver foil details on the insert cards. The set was delivered to guests in a custom glitter box.